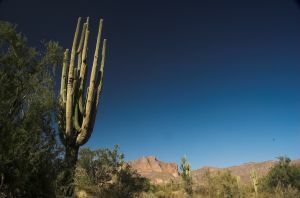 As I walk along the streets of Arizona, I note a few things; the vast blue skies, the reaching prickly cacti, the moody heat, and the ever-present embrace of the mountains. And though I have travelled the world, more than anything, it is these mountains I find that I can never forget. But as a result of their eternal consistency, I tend to forget that other people don’t have the mountains over their shoulder, at their beck and call, the way life in in the Valley makes you think. As a younger, more innocent student a few years back, I took a study abroad trip to Spain with the University. My favorite city in the world, as a result, is Granada, home of La Alhambra, gypsies, narrow winding streets and copious historical cathedrals. Fantastic as it was to be swept off my feet quite literally by an exuberant gypsy for a round of impromptu flamenco, what expanded my mind most about that outing was the long bus ride home. Our motley crew of ASU students was joined by a class from New York on the Granada leg of the trip. On the ride home, we’d began to mingle and discuss our new shared experiences. A young blond man next to me sat gazing thoughtfully out the window. I asked if he was okay…if anything was preoccupying him. And I can’t help but be surrounded by the mountains here, in the desert of Spain, on Tempe Campus, in the banner for this Superstition Review (of the Superstition Mountain range), and I realize how lucky and rare my life has been to be able to call the Valley home. We invite you to join us for a while; keep reading, keep submitting, and tell us about your home.